In the second in a three part series on academic podcasting, Digital Editor Cheryl Brumley explores the technical side of the medium, arguing that the range of recording equipment available makes it easy for the entry-level podcaster to gain surer footing and for the already confident podcaster to gradually take on a more challenging format. This article was originally published on LSE Review of Books. In the last Editor’s Column, I touched on the basics of academic podcasting, noting that the format of your future podcast hinges on your intended audience, your personal work schedule, and whether or not you have a genuine interest in audio or simply want to use it as a supplement to other forms of research dissemination. Podcast formats can range from the simple to complex (e.g. 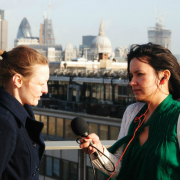 lecture recordings, monologues, journalist-style packages, or the magazine-style format preferred by the LSE Review of Books podcast) and it follows that the equipment used to make these podcasts fall on the same spectrum. Relative to other multimedia, audio is cheap and far more approachable for the technically uninitiated. However easy it is, it still is worth putting in the time to learn how to collect good audio. Given the increasing presence of well-produced podcasts and slick radio programmes, your audio project is more likely to stand-out if it is well-recorded. The right microphone is the key to good sound. Microphones can come in the form of attachments to phone attachments or digital voice recorders, they can also be stationary, hands-free devices, or completely free-standing. The quality of sound picked up varies widely for each. For speech recordings it is best to use more targeted recording devices (i.e. those with narrower “polar patterns” that pick-up the voice directed at it rather than all surrounding noises). Stationary devices, which sit between the interviewer and interviewee may allow for hands-free recording but unless you have a completely sound-proof space, these devices will pick-up a surprising amount of noise from chair squeaks to air vents. Likewise, mobile recording devices are small and portable, but as the quality is poorer, this does not come recommended for lengthy interviews. At the LSE Review of Books, we use a Shure SM-58 because it delivers on sound quality in ways many microphones in the lower-end price range rarely provide. If you find you want richer sound and are willing to pay a bit more, the “Tools” section on the Transom.org site is a good place to narrow your search. Keeping the microphone in your hand, rather than propping it on a desktop stand will give you more control over the quality of the recording and will allow for more targeted voice collection. Voices project differently and have varying levels of robustness. Before launching into an interview test out the right microphone distance by getting your interviewee to talk a little whilst you determine the right distance for their voice (industry standard is asking what he or she has had for breakfast). 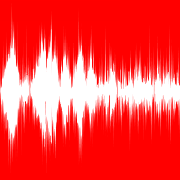 If you hold a microphone too close to an interviewee it could distort the audio, but if it is held too far, you risk picking up unnecessary ambient noise. The right balance is easily struck with some practice. Microphones can record straight from editing programmes on your tablet or laptop. The use of a recorder, however, is still the best way to capture the highest quality audio. Like microphones, recorders exist on a spectrum of the simple to the very complex. Differences in sound quality are not as easily detectable, and one can get away with using a cheaper digital voice recorder such as an Olympus WS-750M. Some recorders work better with a particular type of microphone. Transom.org also has information on these ideal microphone-recorder pairings. As podcast equipment becomes increasingly affordable, easy graduation from novice equipment to more serious forms of recording becomes all the more possible. If you are simply dipping-a-toe-in-the-water, start by purchasing very basic equipment and move up to the more complex as you find yourself more committed to the medium. What is your desired quality level? – would it benefit to move towards the higher-quality end of the equipment spectrum or are you just a casual podcaster? What recording environments are available to you? What is the ambient noise like? This will help you determine how narrow you want your microphone pick-up to be. How long do you want your podcast to be? If it wouldn’t extend over five minutes, quality could be less of a concern than if they feature extended interviews. What types of interaction will your podcasts consist of? E.g. your voice only, an interview, or a conversation between a number of academics? If more than two people will feature, or if you are simply delivering a lecture, a stationary podcast microphone/recorder is the most ideal device (despite the amount of ambient noise it picks up). In this Editor’s Column Extra, I speak to Senior Philosophy Lecturer at the Open University, Nigel Warburton, about his first podcast venture, Philosophy Bites, which has received over 16 million listens worldwide since it first premiered in 2007. I discuss with Nigel why podcasting is more of a joy than a burden and how a smile helps your recording voice, but first I asked him: ‘Why podcast in the first place?’. For their podcasts, Nigel Warburton and David Edmonds began using a Shure SM58 with a Marantz hard disc recorder but have now switched to a more expensive Sennheiser MD46 mic with a foam pop shield and record into a Marantz PMD620. They find this is even better quality with much less ‘bump’ and noise generally. Cheryl Brumleyis the Digital Editor for the Public Policy Group blogs and produces the LSE Review of Bookspodcasts. Cheryl joined the PPG in January 2012 and is a graduate from the LSE with an MSc in Theory and History of International Relations. Cheryl previously conducted research into social media and the Arab Spring at the Regional Centre for Conflict Prevention in Jordan, and researched for BBC World Service radio programmes, The Forum and The World, on work experience. Over at our website we provide lots of guidance for planning, creating, managing and using images, video and audio. This includes a helpdesk for anybody in UK further or higher education to ask us digital media questions.